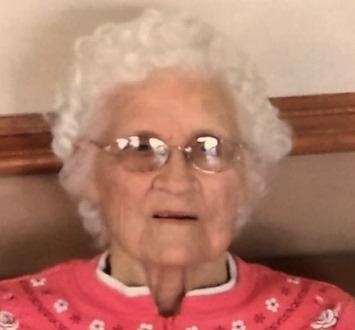 Struthers- Para "Gertrude" Phillips, 98, died October 23, 2018 at Masternick Memorial. Mrs. Phillips was born December 11, 1919 in Turner County, GA, a daughter of Thomas and Anna Blythe Pitts Morris. She was one of fourteen children. Para worked in retail for 40 years, retiring from Value City in 2000. She was a member of Faith Fellowship Church of God. Para enjoyed cooking and baking. Her husband James Eurtle, whom she married in 1944, died Feb. 17, 1988. She is survived by two sons, James E. (Millie) Phillips of Struthers and Kenneth G. (Becky) Phillips of Struthers; 5 grandchildren, 11 great-grandchildren, 8 great-great grandchildren. Services will be held at Davidson-Becker Funeral Home, Sunday at 4:00 PM with her son, Rev. Kenneth Phillips officiating. Interment will be at Green Haven Memorial Gardens, Canfield. Friends will be received Sunday from 2:00 PM to 3:45 PM at the funeral home. Contributions may be made to Southern Care Hospice, 5401 Ashley Cir. Ste E, Austintown, OH 44515. The family would like to thank the staff at Masternick for their excellent care.